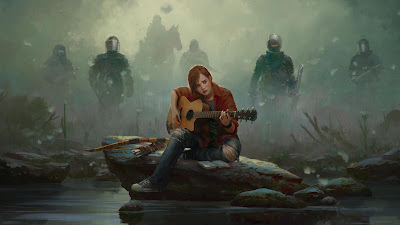 The Last of Us: Part II is a post-apocalyptic action adventure survival horror game that is viewed from a third-person perspective. Players traverse apocalyptic environments, moving through locations such as towns, buildings, and sewers to advance through the game's story. Players use firearms, improvised weapons, and stealth to defend against hostile humans and cannibalistic creatures infected by a mutated strain. CPU: Quad core Intel Core i5 or i7 processor, or AMD FX 8000 series chip. Hard Disc Space: 28 GB. Direct X: 10 or better. Graphics Card: 2GB Video RAM, Nvidia 500 / Nvidia 600/ AMD 6000 series.